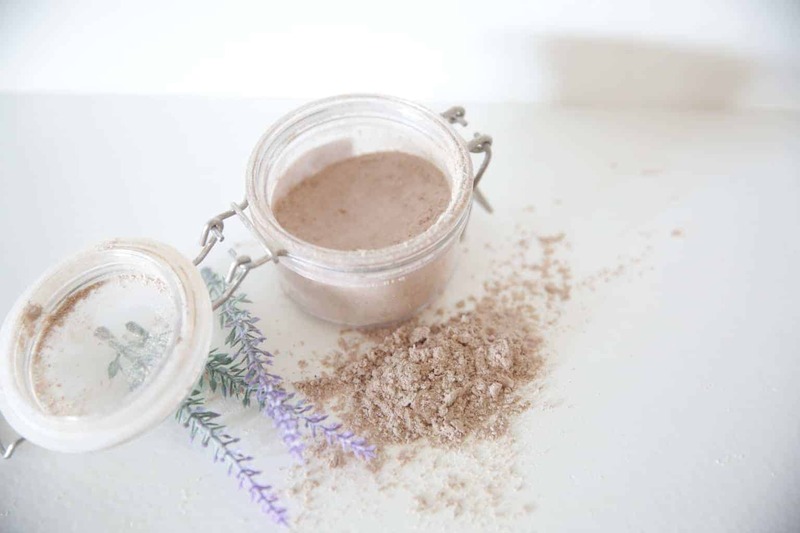 WITH ONLY TWO INGREDIENTS YOU CAN MAKE THIS DIY DRY SHAMPOO FOR LIGHT OR DARK HAIR. JOIN ME FOR TIPS ON HEALTHY HAIR AND A NON TOXIC HOME. When I was in high school I washed my hair every single day, if I didn’t it would look greasy and oily. I always envied those people who could go several days without washing their hair and it still looked good. My sister was one of those people. I assumed it was because we had very different hair types. She has very thick coarse hair, while I have thin fine hair. She told me that you had to “train” your hair. Train your hair to not get greasy? Ok whatever I’ll try it! Let me explain the basic science behind the “training.” Your scalp produces oils, this is a good thing. The oils help your hair to remain smooth, keeps your hair from drying out, and breaking off. When you wash your hair you remove these oils and your scalp produces more oils, so the more you wash the more oils your going to produce. Catching on? Get access to my online resource library for your free printable label. When I was “training”my hair dry shampoo was my best friend! When my hair looked greasy I would use my dry shampoo to freshen it up. About a month in my hair was use to the new schedule and it adjusted very nicely. I now only wash my hair twice a week and it saves me a heck of a lot of time. Mornings in my house can be chaotic…who can relate? I barely have time to brush my teeth let alone shower. Once you have kids going to the bathroom by yourself is a luxury. Dry shampoo has been my go to probably more times than I should admit, I promise I do shower! Dry shampoo can allow you to preserve the natural oils in your hair, protect against dry scalp, all while saving you time. Dry shampoo absorbs the extra oils in your hair making your hair look fresh and clean without shampooing. It usually comes in a spray or powder form. WHO CAN USE DRY SHAMPOO? Anyone can benefit from this product including, men, women, and children. It’s good for all hair types – thick, thin, oily, normal, and even dry. Ok so you probably already know where I am going here, right? Conventional dry shampoo is loaded with toxic ingredients you will want to stay away from. TALC- Talc is a mineral made up of magnesium, silicon, oxygen, and asbestos. Studies have shown links between asbestos and cancer, and it can cause respiratory issues. LPG’s (Liquid Petroleum Gas)- LPG’s are commonly used in aerosol containers and is what allows them to spray out. It is a mix of butane, propane, and isobutane. It is highly flammable and toxic to the environment and human body. It can cause headaches, respiratory issues, and mood swings. Parabens- Parabans are a group of compounds used as a preservative in most cosmetic and personal products. They mimic estrogen and cause hormone imbalances. Parabans are found in 99% of breast cancer tumors! Alcohol- Denatured alcohol is a mixture of ethanol (ethyl alcohol) with a denaturing agent. Ethanol is considered broadly toxic and has been linked to birth effects. 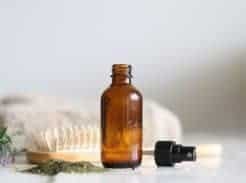 Fragrance- This is what makes it smell good but can cause allergic reactions, contain hormone disturbers, carcinogens, and linked to damage sperm. 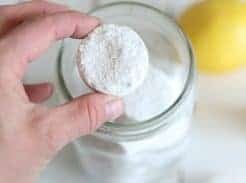 Add arrowroot powder, cocoa powder, and essential oils to a bowl and mix well. Depending on the color of your hair will determine how much cocoa powder you will need. Start with less and add more until you reach desired color. Transfer to airtight container to store. 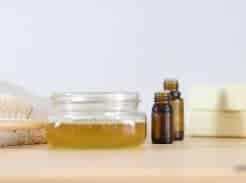 Cedarwood– This woodsy oil is great when you are making products for men because it has a very masculine smell. 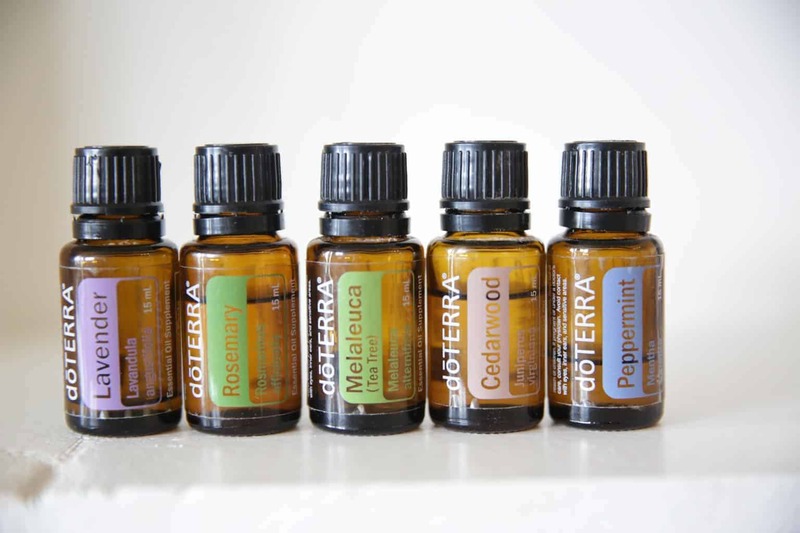 In fact, I use cedarwood in all the DIY products I make for my husband and he approves. 😉 It stimulates hair follicles and increases circulation to the scalp making it a top oil for hair loss. 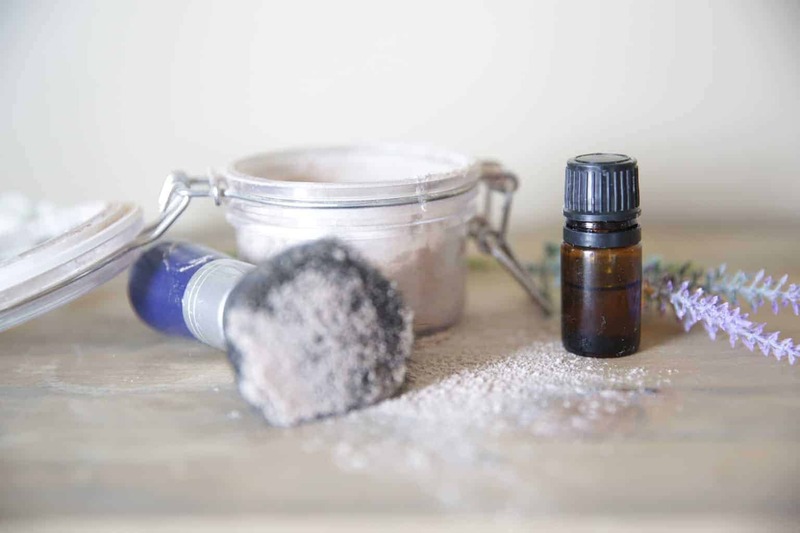 When choosing essential oils for your dry shampoo you can do a combination of several oils or just pick one. I personally like to do a combo but go heavy on the lavender because I love the smell. Get creative and switch it up! You will want to use a make-up brush for application and just for the heads up, a little goes a long way! Dip your make-up brush into the dry shampoo container, tap on a hard surface to remove access powder. Divide hair into sections and apply by brushing the powder into the hair. You will want to start at the roots and work your way down. 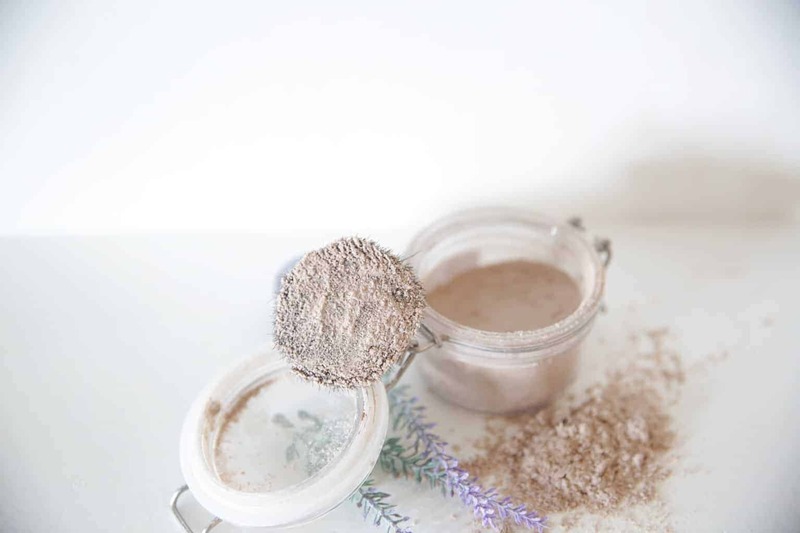 Allow powder to sit for 1-2 minutes, allowing it to soak up oils, and then brush your hair. You can add more powder in if you see oily spots you missed after brushing. After the powder has sat on your hair for 3-5 minutes you can style your hair as normal. If you are a dry shampoo user please try this recipe. It will save you money, its non-toxic, and it works. I hope this post was helpful! Yes I love that this one is all natural and it works so good! I use it very often and love it!